You intentionally and unlawfully threaten, by word or act, to do violence to the alleged victim. At the time, you appeared to have the ability to carry out the threat. There are many ways to defend an individual against a Florida Assault Charge. These include showing that you were justified in your actions, that you had no apparent ability to carry out your threat, that the victim had no reason to fear the words or actions, or that the victim was unaware of them at the time they happened. If you have been charged with a crime of assault in Jacksonville or the surrounding areas of Florida or believe you are under investigation of an assault or other criminal activity call us at 904-685-1200 or contact a Jacksonville Criminal Defense & Assault Lawyer as soon as possible to set up a consultation. In Jacksonville a crime of battery can be charged under battery, aggravated battery, battery of law enforcement officers (including firefighters, emergency medical care providers, public transit employees or agents, or other specified officers), battery on sexually violent predators detention or commitment facility staff, battery on the elderly (someone over 65 years of age), battery by a person who is being detained in a prison or jail, or assault on code inspectors. If you have at least one prior conviction of battery, aggravated battery, or felony battery and you commit an additional battery, the battery is charged as a felony battery which is a third degree felony. 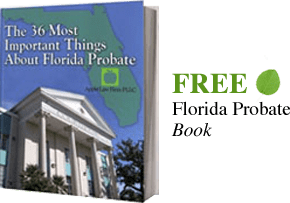 For this determination, a prior battery is considered when there is a conviction of guilt that is the result of a plea or trial, regardless of whether adjudication is withheld or a plea of nolo contendere is entered. There are many ways to defend an individual against an Florida Battery or a Felony Battery Charge. These include showing that you were justified in your actions or it was not against the will of the other person. In addition, you may not have intended to cause harm or no harm may have resulted from the contact. Often by having our lawyers and investigators investigate and interview the witnesses, inconsistencies and differences can be found that would create a reasonable doubt of the occurrence of the events. If you have been charged with a crime of battery or felony battery in Jacksonville or the surrounding areas of Florida or believe you are under investigation of a battery or other criminal activity call us at 904-685-1200 or contact a Jacksonville Criminal Defense & Battery Lawyer as soon as possible to set up a consultation.